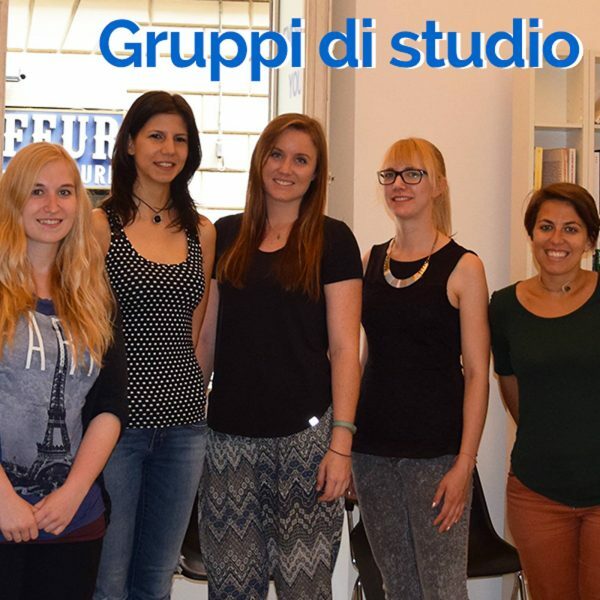 Book an Italian Language study group for you and your friends (minimum 3 students) in order to practice speaking. Is your schedule particularly busy? Do you work in Italy or attend an Italian university? You have studied the subjunctive but cannot order a coffee? If you have special needs or are not satisfied with your progress in Italian, you can apply for the Study Group option and practice Italian while organizing your study time independently. A minimum of 3 participants is required. Groups of 3 or more students can register a single participant who will pay for all students participating in the study group; other students will be registered directly at the school. In the checkout choose the start date of the course (must be on Monday). IMPORTANT: Select the date of the course (a Monday must be selected, not the one immediately following, but a subsequent one). Contact us for special needs. Are you entitled to a discount? Contact Us!